Just what is up with teenagers and promposals? These days, high school kids are hell-bent on topping each other with extravagant displays and creative executions just to get a girl (or guy) to come to prom with them. Take, for example, this boy who decided to pull out all the stops by wooing his ladylove with a pair of Adidas Yeezy Boost 350s. Kanye West’s covetable namesake kicks ideally retail for $200 (around P9,275)—we say ‘ideally’ because they can go to about $1,000 (roughly P46,400) when resold. WTF, right? The photo made the rounds on community forum website Reddit, Complex reports. 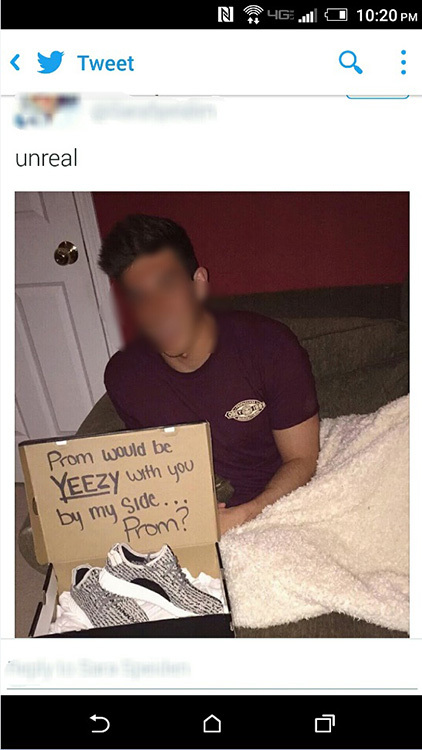 As you can see, the love-struck teenager invited his prospective date with the question, “Prom would be YEEZY with you by my side… Prom?”, while brandishing some box-fresh Yeezys in the Turtle Dove colorway. Unfortunately, said guy did not do his research prior to making the purchase. 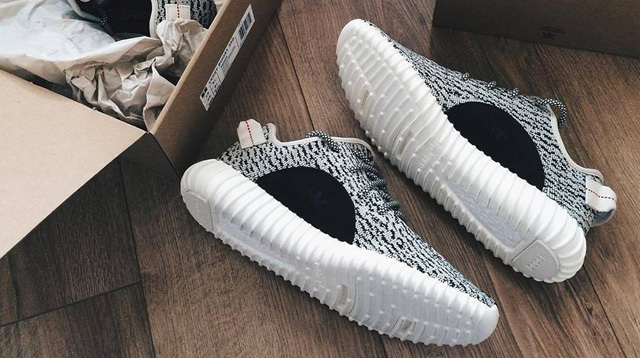 After the girl posted the photo on Twitter, her fantasy world came crashing down when she learned from netizens that her new sneakers are actually fake. Ouch! Does this mean they won’t be going to prom together?